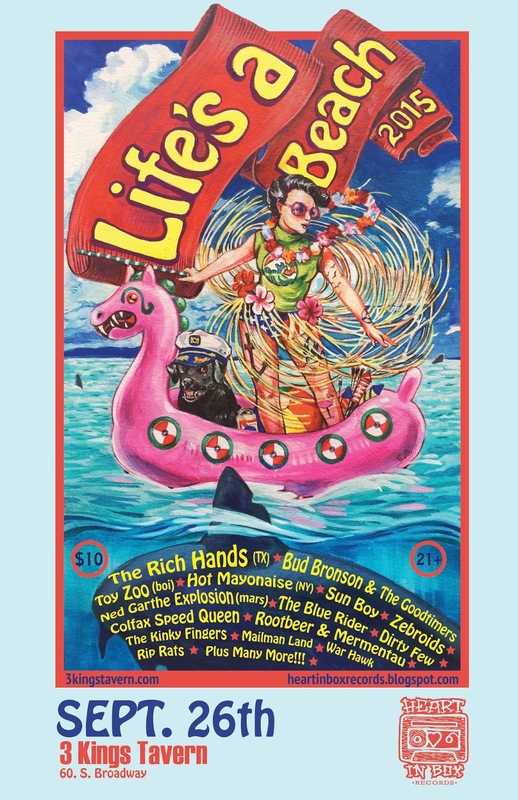 Heart In Box Records is hosting their annual Life’s A Beach Fest on Saturday, September 26th. The event will feature over 15 bands from Denver and around the U.S. bringing their brand of awesome garage, psych and surf rock. It will be held at 3 Kings Tavern in Denver, CO. There will also be local vendors and food trucks on hand. So be sure to bring your beach balls and sunscreen! Visit Heart In Box’s website for more info.